The 5 minute mindful meditation. Things he is grateful of. Makes a todo list 3 things. Circles the toughest one and considers it a successful day if he finishes just that one. He also put up today’s don’ts. Like not getting stuck in emails. 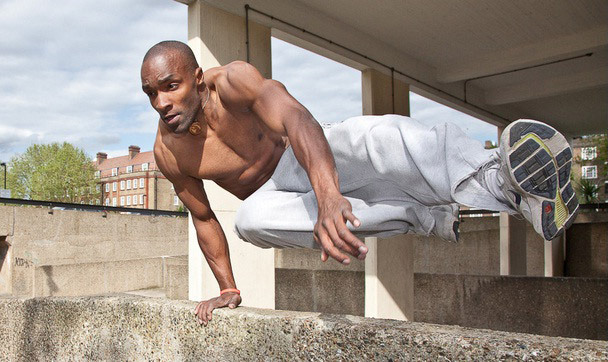 He is the Freerunning and Parkour master who stars in in the beginning of Casino Royal. This entry was posted in Creativity, Mindfullness, The Future, The Mind and tagged #Blogg100, Felicia Day, Freerunning, Journey, London Real, Parkour, Sebastien Foucan, Tim Ferriss. Bookmark the permalink. Are We The Passengers? Or The Crew?